Lumbar back support offers a low-profile design for maximum lumbar support. 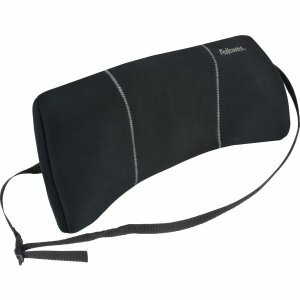 High-density foam promotes neutral posture while the adjustable strap holds the lumbar back support in place. The soft brushed cover can be removed for easy cleaning.